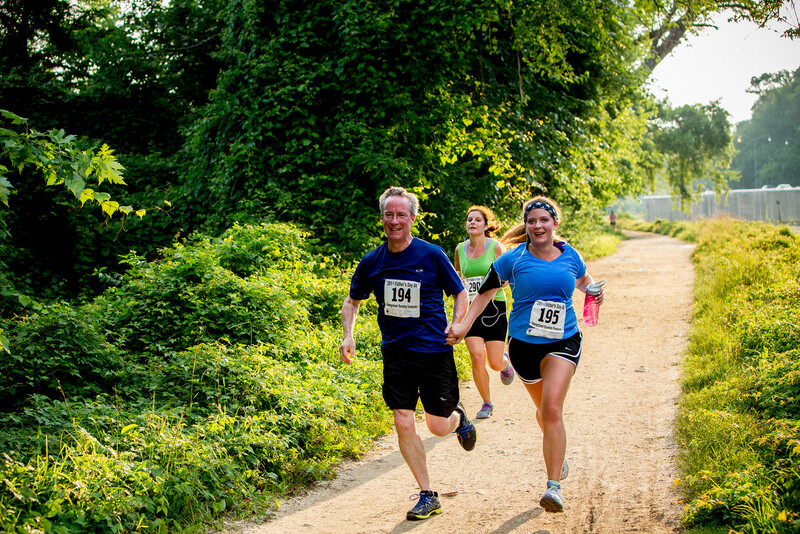 GEORGETOWN RUNNING CLUB: The Father's Day 8k is almost here! The Father's Day 8k is almost here! Start your Father's Day on the right *foot* with the Pacers Running // GRC New Balance racing team! The 8k course is flat and fast, along the historic C&O Canal towpath, and starts and finishes at Fletcher's Cove. This year, we're beating the heat with a morning race, leaving plenty of time to enjoy the rest of the day with Dad. Don't forget to sign up the youngsters for the Kid's Kilometer! Check out Pacers Running's blog HERE for a feature on the race! We'll also have post-race snacks and refreshments, including local and delicious Bullfrog Bagels, photos, awards, and fun for the whole family! Remember that Friday, June 3, is the last day to register to guarantee you'll get a technical race shirt! Don't miss out! Learn more about the race and register HERE. Yeah, Father's Day event. This could be the happiest day!